US 1 Pools has officially partnered with its first in-ground pool system, Imagine Pools. US 1 is an exclusive dealer of Imagine Pools in the Raleigh area. 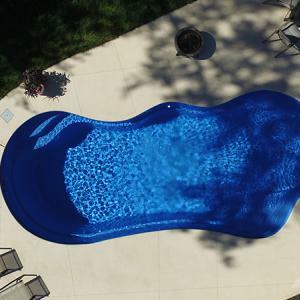 Imagine Pools are made of fiberglass and come in a variety of unique design options. These pools can turn your backyard into a piece of paradise for you and your family. Imagine Pools fiberglass technology exceeds the industry standards for shell thickness. Resin technology called vinyl ester resin is used during construction, which increases the strength of the structure and prevents corrosion. Each imagine pool comes with a gel coat finish that is easy to clean and maintain. The finish is non-abrasive with no sharp edges so it can be cleaned easily. This smooth finish keeps the gel coat from staining. Imagine pools is constantly innovating and coming up with great pool designs for any family. All of their designs reflect today’s architectural trends. 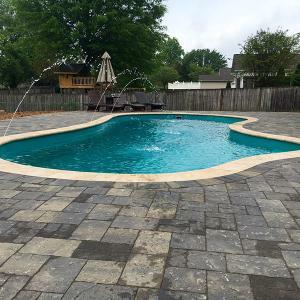 The pools are also offered in seven different color coatings that last for at least 10 years. Each of the colors incorporate a sparkle in the gel coat, creating a beautiful glisten on your pool. Your Imagine Pool will come directly from the manufacturing facility, ready to be installed in your yard. You’ll be swimming in a matter of days with the Imagine Pool. This process is quicker to complete than other types of in-ground pools, which can take weeks or months to install. There is no questioning the quality of a fiberglass pool. Imagine Pools prides itself in providing a perfect pool for any home. 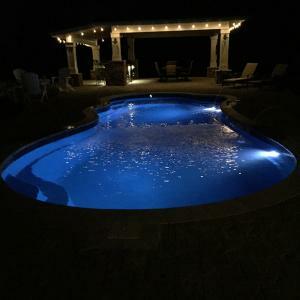 These pools are also compatible with any type of cleaning system such as salt, chlorine, freshwater, or ozone systems, so you are free to choose what will be best for your family. Visit the Imagine Pools Website to see their full line of pools. Then Contact US 1 Pools to discuss an Imagine Pool for your family!